Video marketing is thriving. 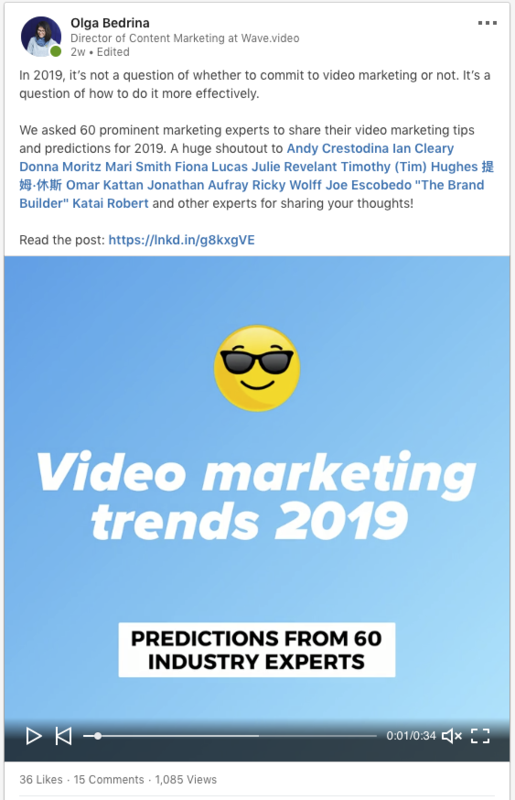 Industry thought leaders predict video to take an even firmer stance in the years to come, as people don’t want to read that much and images aren’t nearly as dynamic. Companies and small businesses realize the power of video and plug into the video making trend. At the same time, there’s been a lot of talk about the new Facebook reach algorithm that makes it close to impossible to make your content seen organically. Some experts predict organic reach to decline significantly on Instagram, too. In this competitive environment, how do you get more eyes on your video content on social? Here are 9 surefire ways to give your videos a competitive edge and make them spread like a wildfire. 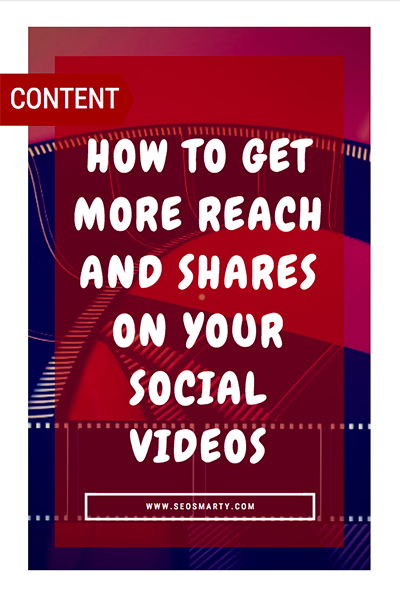 In order for your video to get more reach and shares, it has to be engaging in the first place. Which means: your video needs to evoke emotion, be educational, fun, or cute. Preferably all at the same time. The more viewers share your video content – the more reach it gets. The more reach it gets – the more new viewers might be able to see it. But before they share your video, the #1 task is to convince your viewer to watch it first. When scrolling through the feed, you only have fractions of a second to show your audience the video is worth seeing. Animated GIFs and stickers have been in the marketer’s arsenal for a while now. They have become a universal communication language, easily understandable by people all around the globe. By adding GIFs or animated stickers to your videos, you make them more relatable and fun, showing the audience you speak their language. GIFs and stickers can also make your videos more comprehensible, giving them an additional sense. To add GIFs and stickers to your videos, use tools like Wave.video or Camtasia. To warm up the viewer’s interest, tell them what your social video is going to be about. You don’t have to reveal all the details: this way, it won’t probably be as interesting to watch. A teasing headline will do just great. Since 85% of videos are watched with the sound off on social, it does make sense to optimize your video for this behavior. One of the best ways to do it is by adding subtitles or short text on your video. Now, to create an engaging and fun video is only half the battle. The other half is to share it on social properly. Here are a few tips that might help you out. Just the other day, I was scrolling through my Facebook feed when I stumbled upon this video. Even though I wasn’t inclined to watch a video of a girl shaving her hair off, I simply couldn’t resist. I immediately had to know what’s going to happen next. Is she really going bald? (Spoiler alert: she didn’t). Would I have watched the video if it had had a different, less catchy thumbnail? So, when uploading your videos to social, make sure to select a catchy thumbnail. By “catchy” I mean a thumbnail that builds anticipation and thirst to know more. Facebook, Instagram, and YouTube allow you to upload a thumbnail for your video. Unfortunately, Twitter doesn’t have this option. 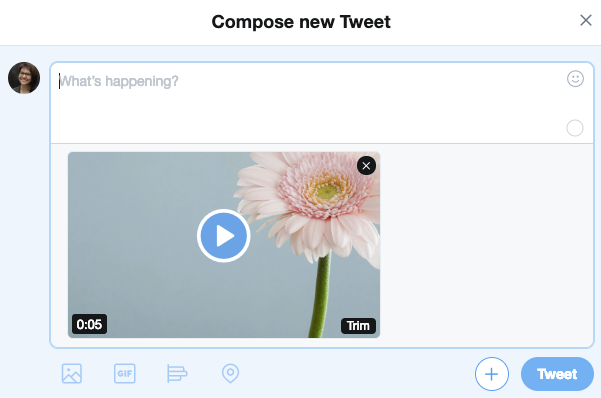 So, make sure the very first second of your video is meaningful, as it’s what’s going to show in the tweet. 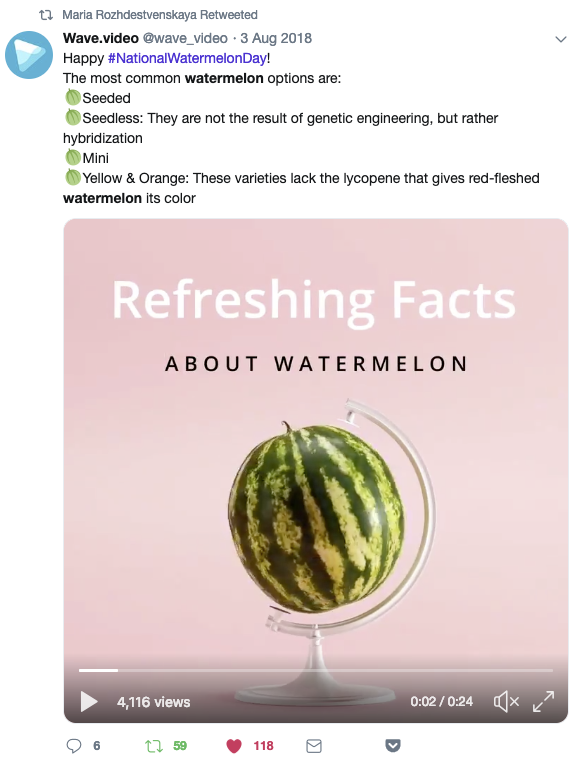 While a social video itself is a powerful marketing instrument, a description that goes with it is just as important. 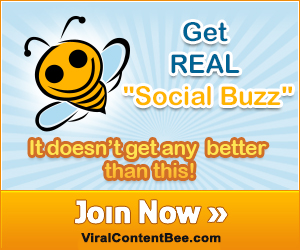 All the social media platforms allow you to add a post accompanying the video. Make the description intriguing. Use power words like “surprise”, “whopping”, or “scandalous” to heat up the viewers’ interest and make them crave for more. Include hashtags. Using hashtags in your social posts might help you significantly increase the reach of your videos. 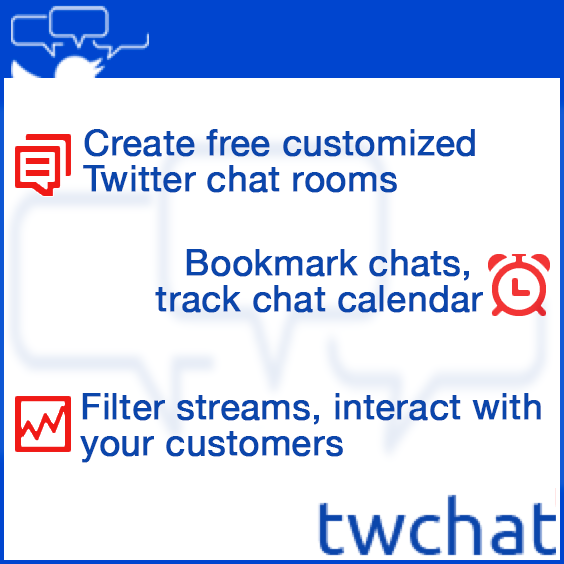 Use tools like Hashtagify to help you find the right hashtags for your posts. Tag people! It might sound obvious but you’ll be surprised to see how many businesses miss out on this opportunity. Mentioning people (or even brands, for that matter) in your social posts allows you to easily notify them that you’ve created something interesting and thought of them, too. The #1 goal for any social platform is to make people stay on the platform longer. Thus, all major social platforms (including LinkedIn) are heavily investing in video, adding new features like live videos and Stories. 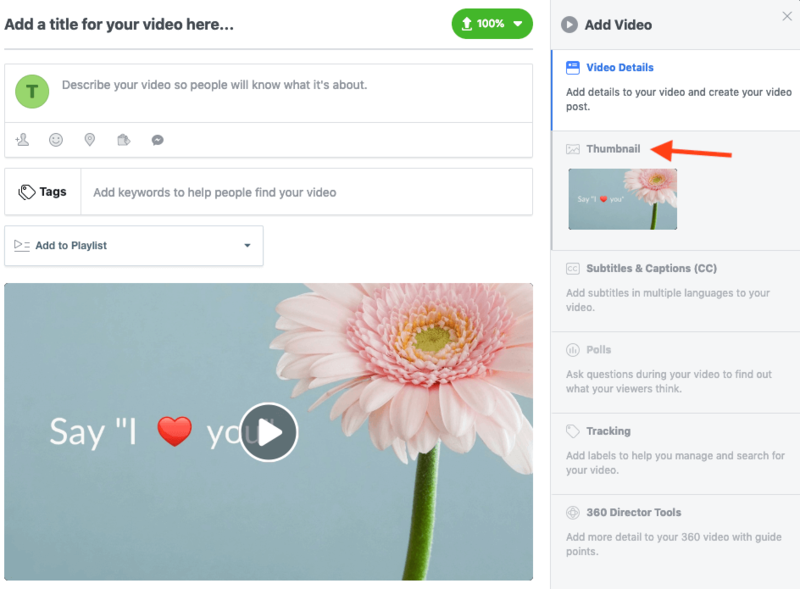 To increase the reach of your videos, it does make sense to upload them natively. This means that instead of sharing a link to a YouTube video (or any other video hosting platform, for that matter), I’d recommend that you upload your video directly to a social media platform using their uploading features. 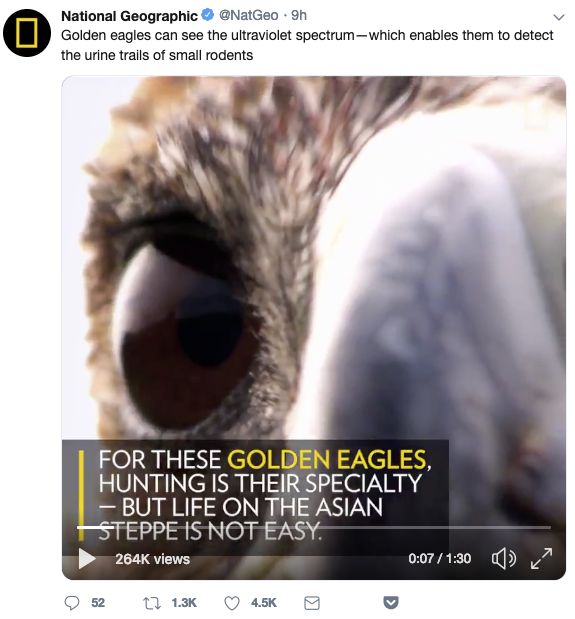 Even if you come up with the most fascinating video and a stunning description, only a few people will see it if you post it when all of your audience is asleep. For more reach and shares, make sure to post your video content at a time when your audience is most active. Once you’ve shared your video on social media, make sure to go back to your scheduling tool and schedule another round of shares. Chances are, some people might have just missed your video when you shared it the first time. Make sure to give it another go. You can slice and dice your video, and share different parts of video at different times, with various messages. You can also repurpose your videos. 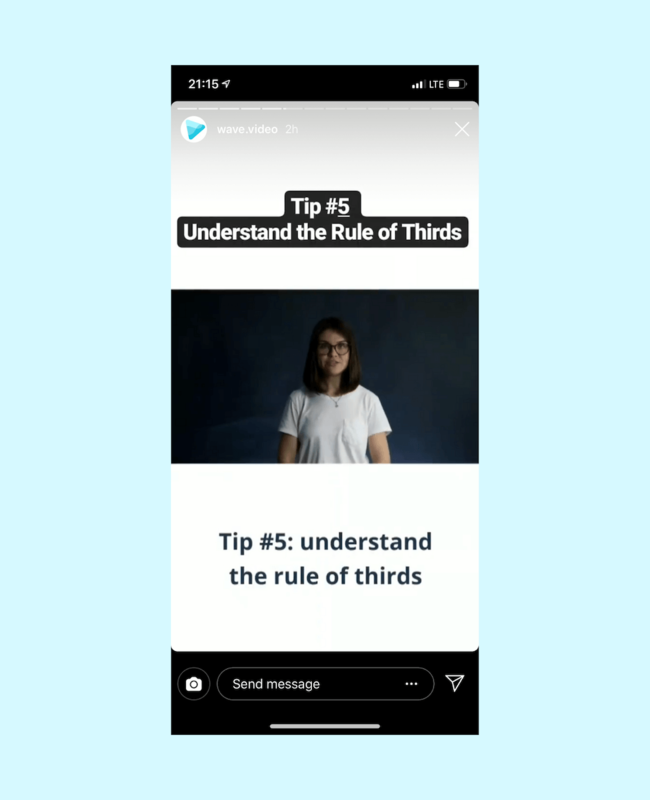 For instance, create an Instagram Story from a horizontal video by adding margins and captions to it. Create an Instagram Story from a horizontal video by adding margins and captions to it. With Instagram in particular, you can also reshare your in-feed posts to Stories. Chances are, in 2019 there are going to be more people who watch Stories than those who check out in-feed videos. So make sure you serve both. 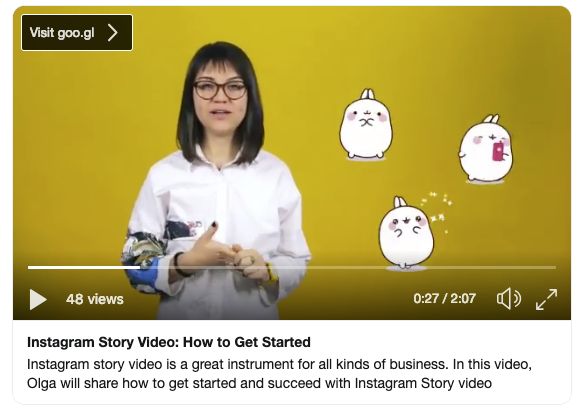 When it comes to promoting your social videos and driving more reach/engagement, here’s a path to success: have a great video first, post at the right time, and follow the social platform’s guidelines for native uploads. 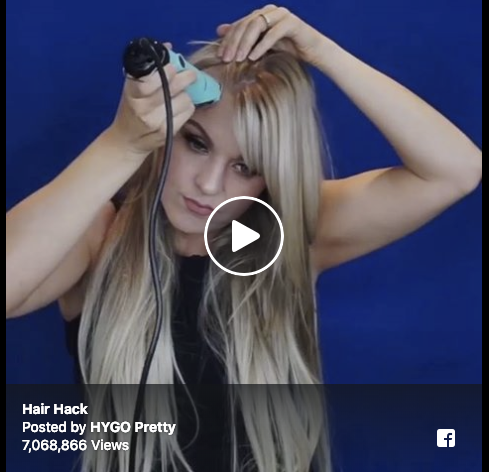 What are your favorite tips on getting more shares on your social videos? Share in the comments below! Olga Bedrina is the Director of Content Marketing at Wave.video, free online video maker. 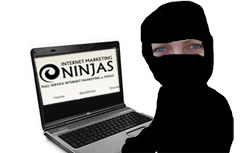 She is excited about video marketing, social media, and new technologies.